Worship is how we connect with God and with each other as a community. It helps us realize God's dream for God's creation and invites us to live into it throughout the week. Worship gives us an opportunity to learn, dig deeper and experience good news as we wrestle with and explore the difficult questions of life and faith. Worship at RISE is comprised of music, scripture, prayers and relevant messages that leave us empowered to give love to a world that desperately needs it. Worship at RISE takes place every Sunday morning at exactly 10(ish) at 60 West Market Street in Harrisonburg. Child care is available during worship. Email us for more information. Worship at RISE is informal, passionate, and authentic and is a place to receive love, give love, and repeat. Expect to be welcomed and loved from the moment you walk in. Wear anything you want. Pajamas or a tuxedo. It's all good. Be as upfront or as discrete as you want to be. God loves you whether you want to blend into the back or dance in the front. And we do too. Hear a message full of good news, but not afraid to ask hard questions, wrestle with the stuff of life and faith, and leave you challenged and changed. Expect to be sent out in peace and with passion to give love to a world that desperately needs it. If you're a JMU student, you can walk downtown. Or carpool. Drive yourself! There are a number of parking decks surrounding 60 West Market St.
Use the RISE Rideboard! 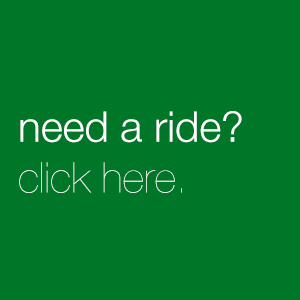 Just let us know where you need to go and where you want to be picked up from and we'll take care of the rest. It's no biggie... just givin' love one ride at a time. Call or text us. If you call us by 9:30 am on Sunday mornings, we will come and pick you up! (Provided you are in the Harrisonburg area... no trips out of state, please!) Just call 540-324-3241.